Resin Bound Driveway Installation, Sutton Village, Hull. 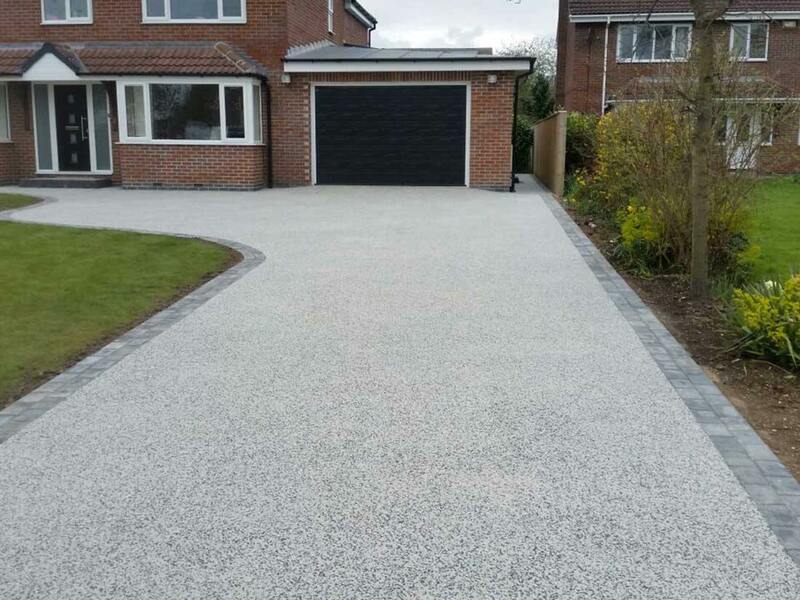 Mr & Mrs Nicholson had previously had their driveway block paved following the installation of electric gates but soon after decided that they would like to extend the area with a Resin Bound parking area created for their van. We excavated down to a significant depth so as to ensure that the area would provide a long lasting and robust surface that would last a lifetime. After the installation of Pin Kerbs to clearly define the parking area we added a good level of type one as a base upon which a rough coat of tarmac was then laid. 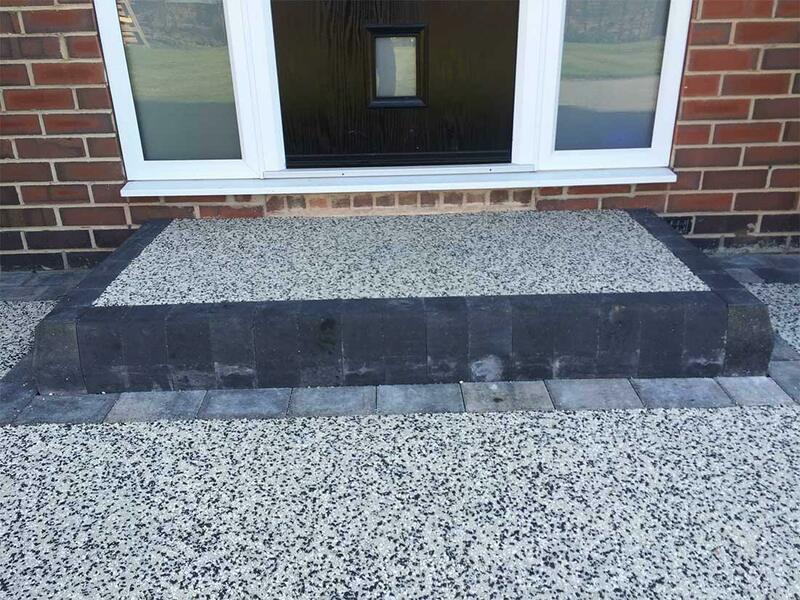 The final application was of a quality layer of resin paving which added a beautiful finish and added an extra texture to their landscape. 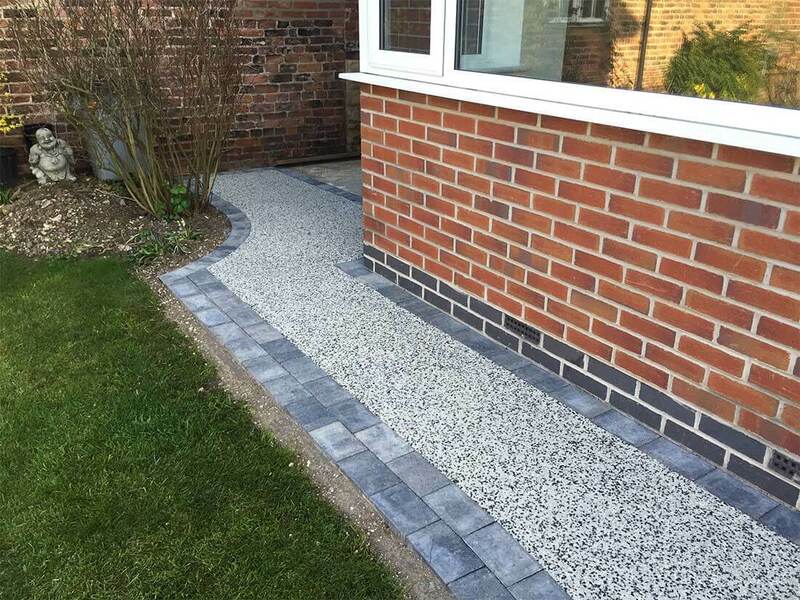 Resin Bound Driveways are our speciality – if you would like to discuss ideas for your own installation then we would love to provide you with a Free and no-obligation quotation. © 2016 Unique Paving & Resin Solutions Ltd. All rights reserved.